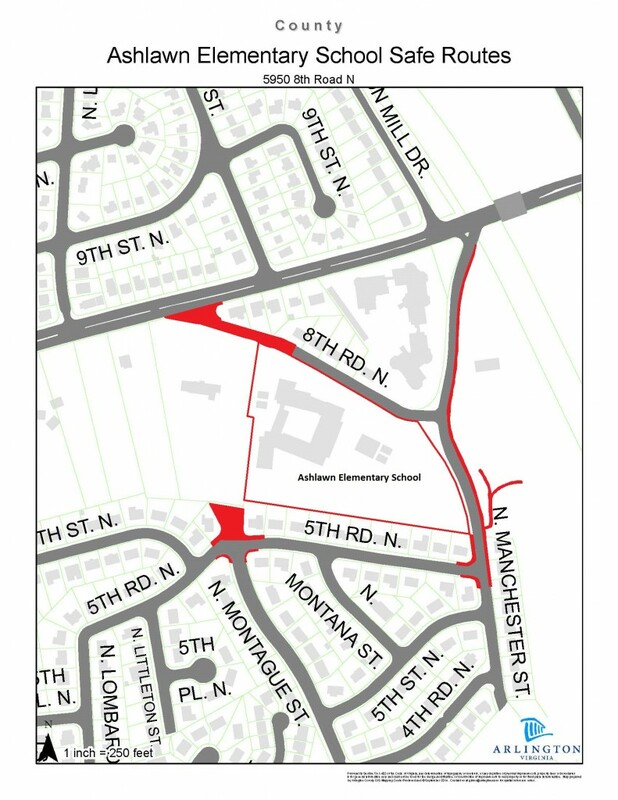 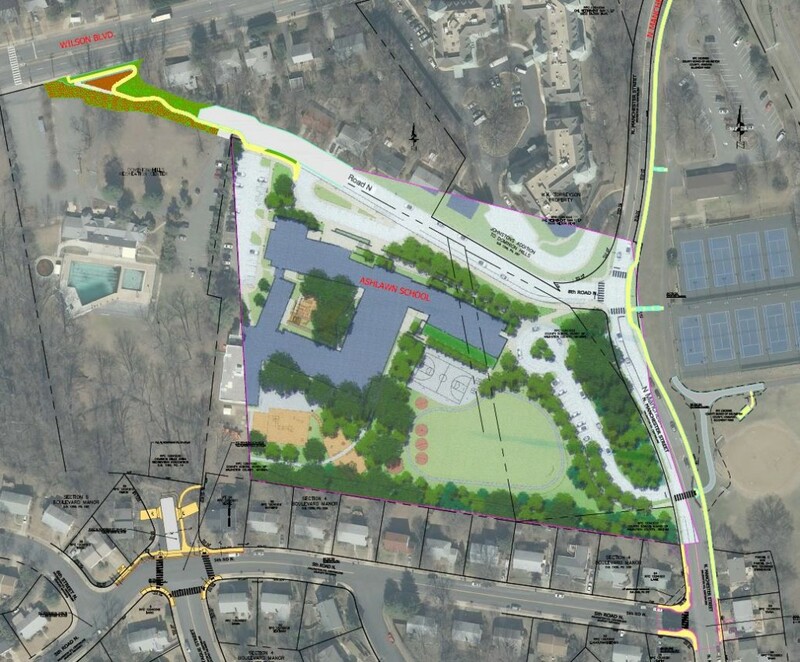 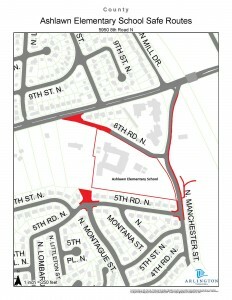 These projects were selected from recommendations included in a School Transportation Plan, undertaken by Toole Design Group, and given the top priority for design and construction to provide safer pedestrian and bike access connections to and from Ashlawn Elementary School. 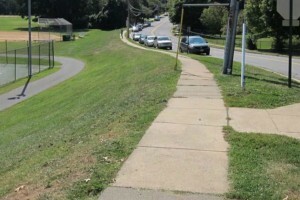 These projects were initiated to complement, and have been coordinated with, the renovations and expansion of Ashlawn by Arlington Public Schools (APS). These projects are funded through a joint APS and County fund specifically for safe routes projects associated with school expansions and renovations.